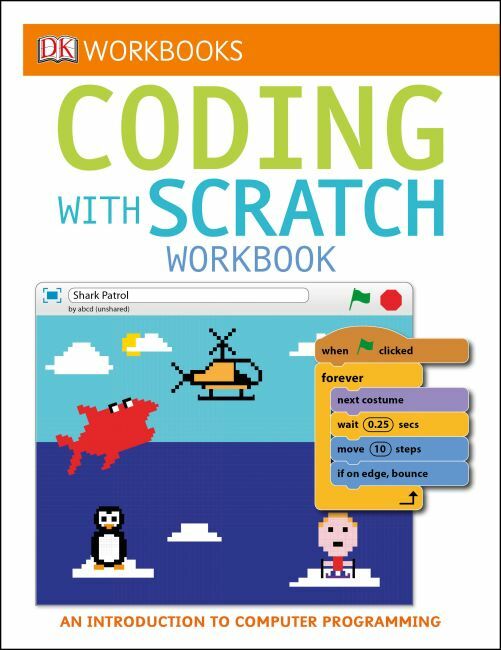 Perfect for beginner coders ages 6-9, this highly visual workbook builds basic programming skills using Scratch, a free computer coding programming language, and will take kids from browsing to building. From conditionals to math equations to animating characters who walk, talk, and dance, young coders will put all these pieces together at the end of the lesson to create a simple "dodge the dragon" game. Then, they can share the game with friends to see if they can top the high score. Kids can even test their coding knowledge with written quizzes at the end of each section and a glossary at the back of the book.